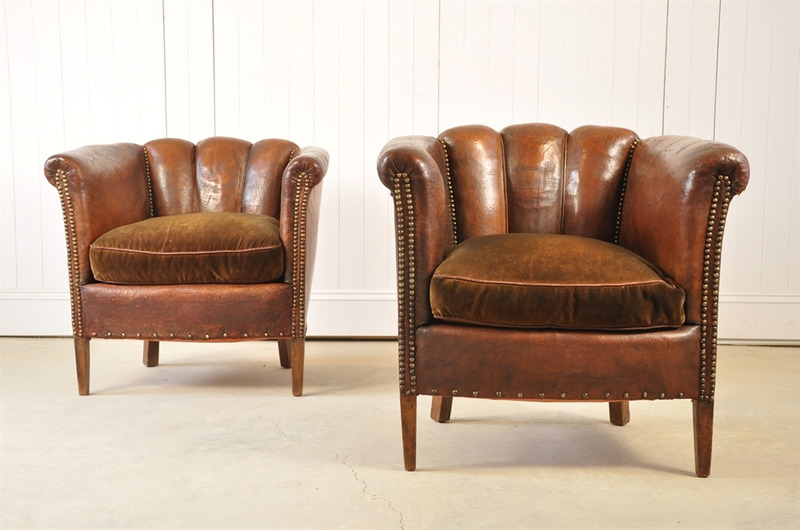 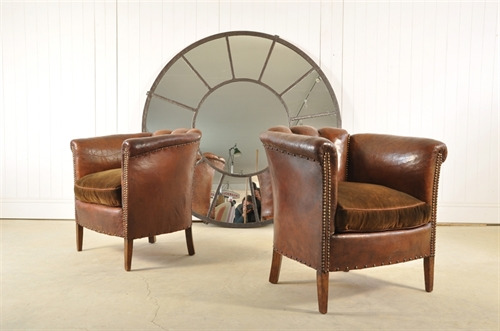 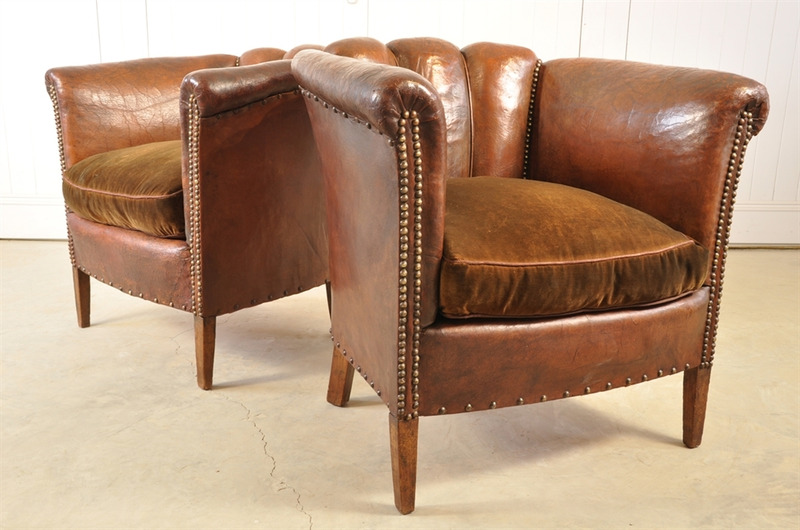 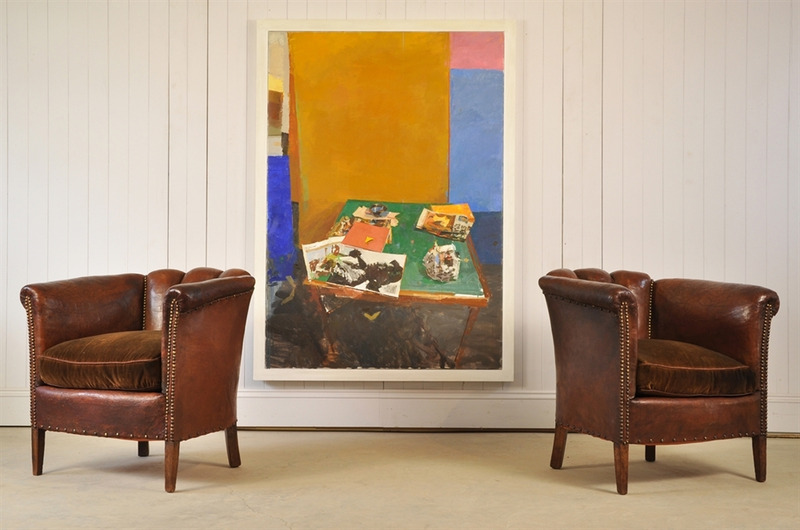 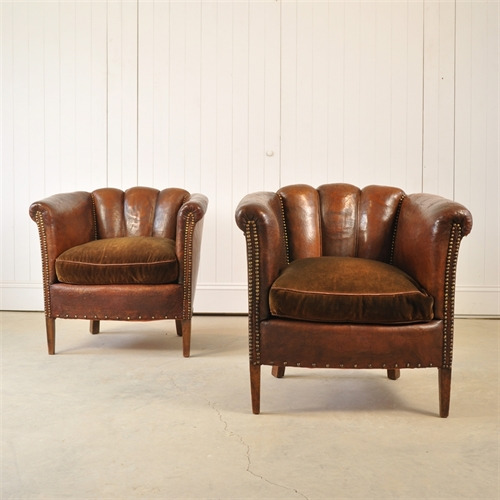 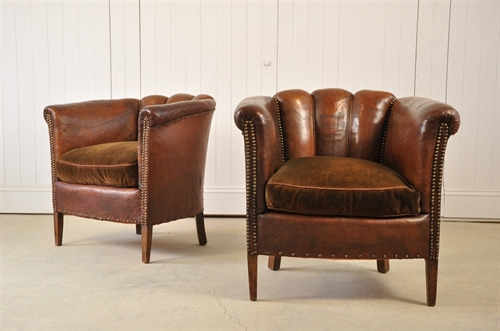 Sourced in France these antique leather chairs with their Scalloped back are rare. They have a lovely shape and the leather has a fantastic crackled patina. 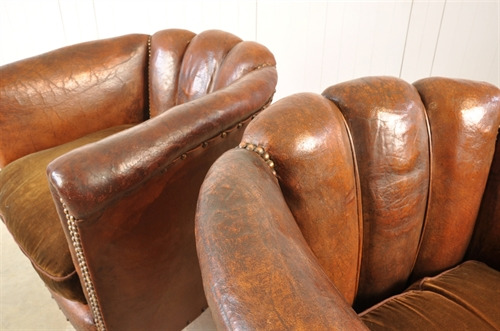 Overall in good condition with no major damage. The leather has been conditioned with saddle soap to keep it supple. 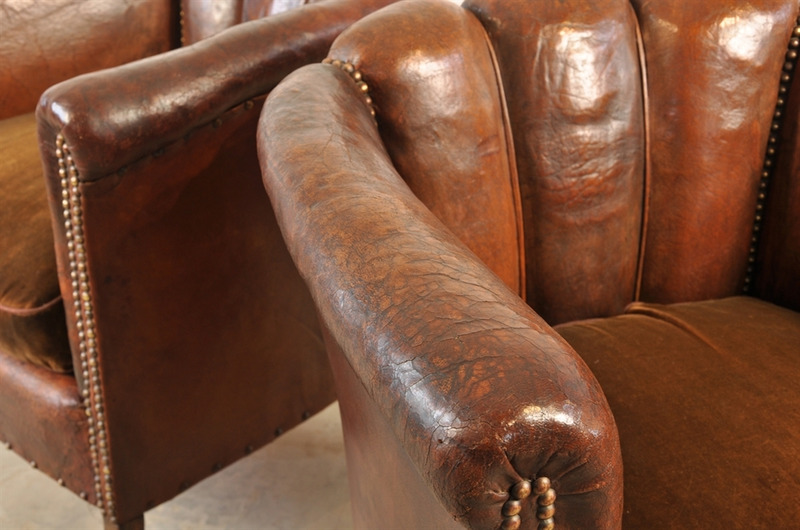 A tiny amount of retreated woodworm. 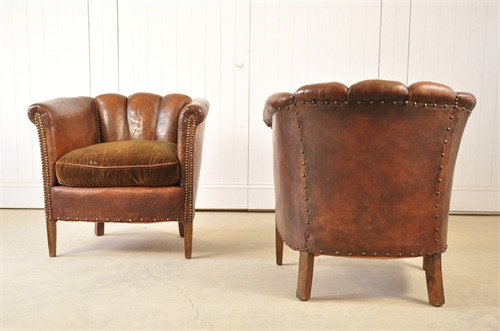 Easily replaceable, original feather cushions. 75 cm h ( 44 h to seat ) x 75 w x 65 d.